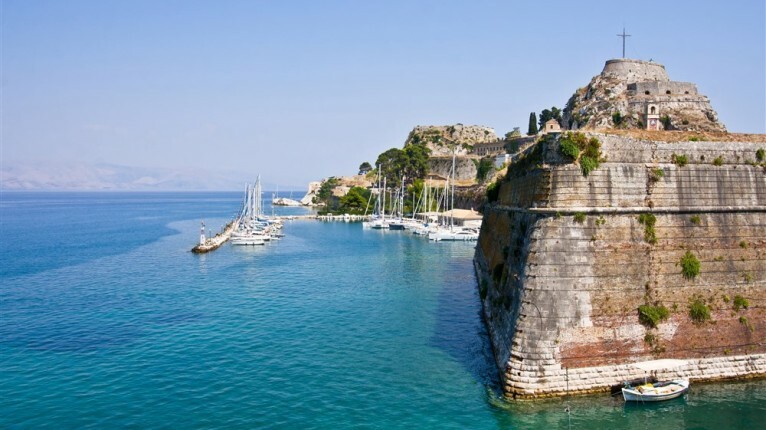 An impressive sight, particularly when entering the city from the south from Garitsa Bay, the 16th century Old Fortress is visited by thousands every year. 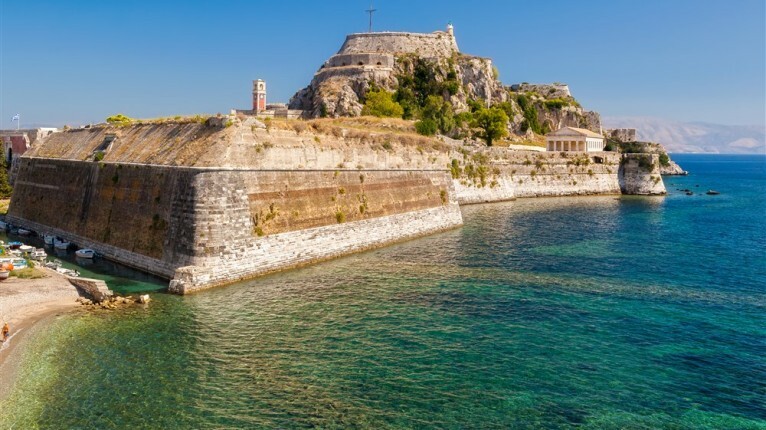 Entering from the park area, the Esplanade, you cross a stable metal bridge of approximately 60 meters in length taking you across the man made moat. Originally this bridge was a wooden drawbridge and the moat was created to further enhance its security from intruders on foot. 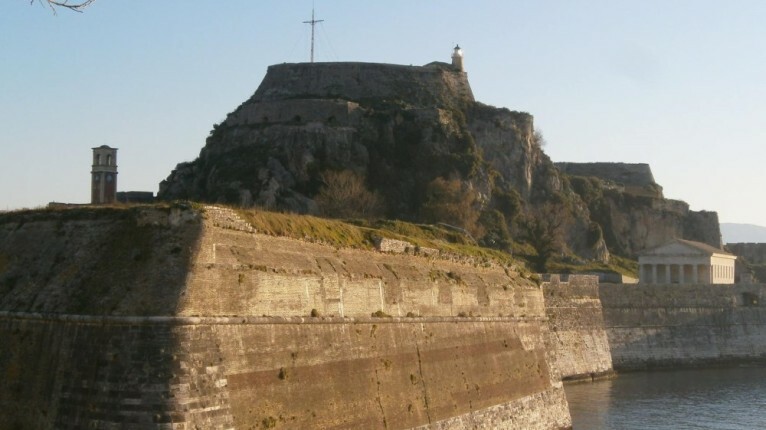 The fortress was one of two settlements which was fortified by the Byzantines and later developed further by the Venetians. Supposedly there are many underground tunnels. 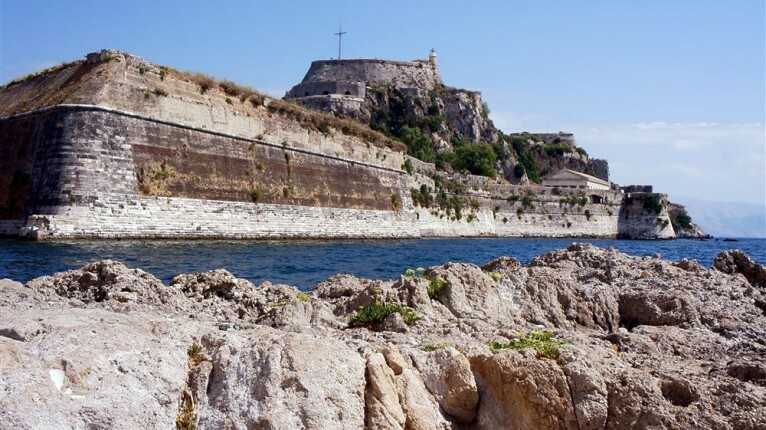 The Esplanade in front of the fortress, now home to the cricket ground, park and Liston (rows of cafeterias) is said to have been purposely created as a flat area between the fortress and the town so that the army would have a clear view of any enemy attempting to gain access. This would make sense as the distance is around the same as the firing range of weapons available at that time. 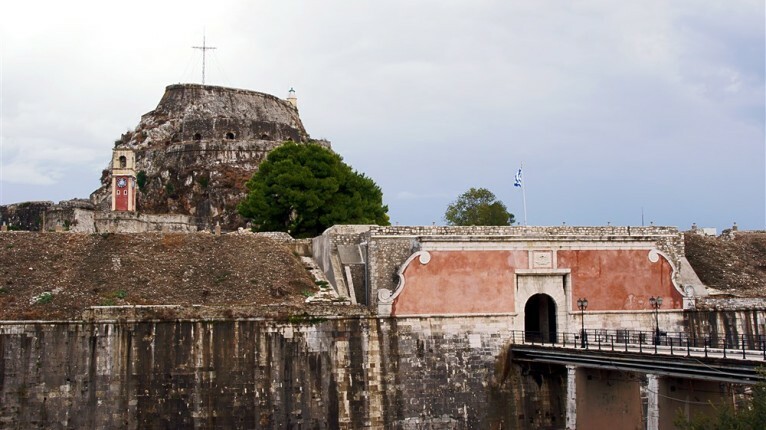 Having said that its main purpose was to defend the island from invasions by sea, a task which it carried out very effectively over the centuries. Visitors can still walk right up to the top of the castle to enjoy the breathtaking views. From this vantage point it is very easy to see how impossible it would be for approaching enemy ships to go unnoticed. There is a café and restaurant within the castle walls providing welcome refreshments after your climb! 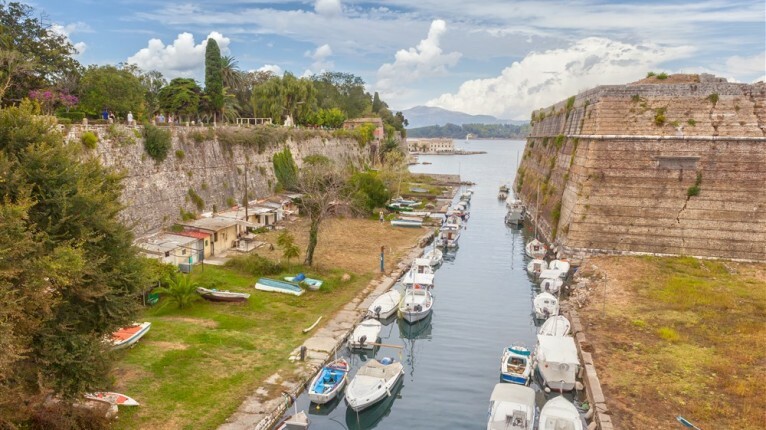 These days, apart from being a tourist attraction, housed within the walls are a museum, library, a part of the music school of the university as well as the official archives of Corfu. The exterior is also used to full advantage. Concerts are performed periodically throughout the summer, often by very famous artists. The unique setting and perfect acoustics makes it a very much sought after venue. Nothing could be more magical than to listen to a quality performance with the moonlight illuminating the castle ruins.